It may be tempting to feed your pet some of your leftovers, but you need to be aware of the negative effects some human foods can have on your furry one. If your cat or dog has diarrhea, vomiting or a loss of appetite, it may be safe for you to suspect he has ingested food that is not meant for him to eat. There are some specific human foods that should concern you more than others, in the event your cat eats them and gets sick. Below is a list of five harmful human foods that you shouldn’t feed cats, and what to look for if they do eat them. 1.) Chocolate. Theobromine is an alkaloid found in all forms of cocoa and chocolate. It is most concentrated in dark chocolate as well as unsweetened chocolate that is used for cooking.Â Chocolate also contains caffeine.Â Some of the warning signs of chocolate poisoning are muscle tremors, heart problems or seizures. 2.) Alcohol. As little as a tablespoon of alcohol is enough to cause brain damage or severe liver damage to your cat. 3.) Raw Meat, Eggs, Fish and Fat Trimmings. If your cat eats raw food, she may experience diarrhea and vomiting. Also, excessive amounts of fat can cause a painful condition called pancreatitis. Salmonella or E. coli are risks that are also associated with these foods. 4.) Coffee, Tea or Energy Drinks. The caffeine contained in these beverages can cause your cat to become edgy and to have muscle tremors, heart palpitations and rapid breathing. 5.) Dairy Products. If your cat is lactose intolerant, dairy products may cause vomiting and diarrhea. The traditional saucer of milk can harm your cat. 6.) Grapes/Raisins. Especially with dogs, grapes and raisins can expand in the stomach and cause great physical harm. Resist the temptation to throw a grape or raisins (or cookies containing them) into your pet’s mouth. 7.) Peppers/Spices/Onions/Garlic. Anything spicy can wreak havoc with your pet’s stomach. You might be tempted to toss them a string of spaghetti, but if there’s garlic or spices in the sauce, don’t do it! 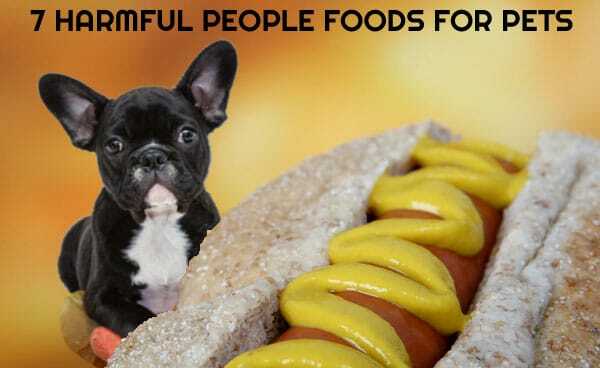 Spicy foods can cause vomiting, diarrhea and permanent damage to your pet’s health. It is best to contact your veterinarian to get medical advice if you suspect your pet has eaten something he shouldn’t have. Small quantities of the wrong food may not be so problematic. However, larger quantities may be what determine whether your feline companion will require treatment from the veterinarian. If your cat or dog eats human food that is harmful, and experiences the severe health symptoms associated with those foods, he may be hospitalized and given intravenous fluids along with blood tests to monitor organ function. Keeping your food out of reach of your cat or dog is one of the best ways to keep your cat from eating human foods that cause severe illness or reactions. If you decide to give your pet human food, consider only giving it as a treat or on rare occasions. This measure could reduce the chances of your cat experiencing any gastrointestinal upset and imbalances in nutrition. Also, consider this guideline: if you wouldn’t consider eating a particular food raw, then you shouldn’t feed it to your pet either. Your pet’s life can be full, long, healthy and joyous. As an owner, you can ensure the pet’s healthiness by being informed and aware of what is best for them nutritionally.